Data breaches are costlier than ever. Preventing them doesn’t have to be. The typical network hack costs its corporate victim $3.7 million. That’s a big number, but because it includes Target, the Home Depot and other global corporations, it’s not a real number to most American business owners. 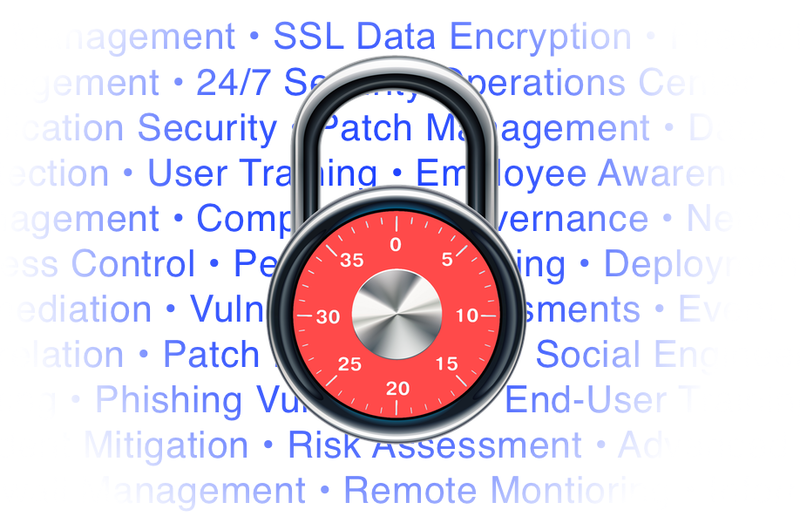 More than 70% of successful data breaches victimize small businesses. The average small business loses between $36,000 and $86,000 as a result of that breach. Cybercriminals have figured out it’s easier to steal a modest quantity of valuable information from hundreds of victims than it is to break into the well-funded, heavily-fortified networks of larger corporations. Thousands of small companies have been hacked since the last high-profile attack, and the growth of Internet theft shows no sign of slowing. Maybe they want to encrypt your information, and force you pay ransom to retrieve it. Maybe they’re identity thieves who want to treat your employees as fresh meat. Or perhaps they hope to use your network as a back door into one of your larger customers or vendors. Can your reputation withstand such an event? Until now, most strategies to protect your company’s vital information have been priced as if you had a Home Depot-sized budget. Security Essentials by SLPowers delivers better security for smaller businesses, at prices starting as low as $795 per month. SLPowers has been safeguarding client information for 18 years. We’ve learned how cybercriminals think, how they act, and how to repel them. And we know how to keep our clients in regulated industries on the winning side of compliance audits. We’ve distilled the most critical weapons in the fight against unauthorized network intrusion into our newest managed security solution, Security Essentials by SLPowers. We put our tools to work for you, with no capital outlay. We’ll install a state-of-the-art firewall, and activate the industry’s leading suite of advanced security features. We’ll deploy Security Incident and Event Management tools designed specifically for small and medium businesses. We put our people to work for you, with more than 500 years of combined experience. Our Security Operations Center monitors the integrity of your network environment 24 hours a day. Our engineers make up one of the most respected team of cybersecurity experts in the managed security industry. We keep you up-to-the-minute on the security of your network with daily, weekly, and monthly reports. Better security for smaller businesses, at prices starting as low as $795 per month.